So who will GSP fight on his return since Woodley is fighting Wonderboy next ? Discussion in 'UFC Discussion' started by JollyRants, Aug 15, 2016. So Tyron Woodley is fighting Wonderboy next, who will GSP fight on his return ? Will he wait for the winner or a take a fight in the meantime ? GSP working hard for his return. Woodley vs Wonderboy winner ? 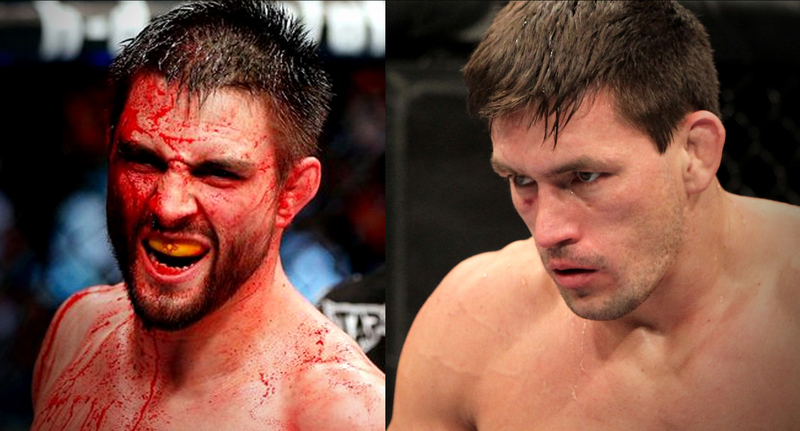 Maia vs Condit winner ? Robbie Lawler ? Beat 5 of the 11 guys who beat Robbie, and will dominate him lol. He's fighting Tim Kennedy at Welterweight or Middleweight. LAWLER is the obvious fight to make! Chain Saw and CarlC like this. He never hinted his return when Lawler was the champ, it's very obvious that he doesn't want to fight him right now. Especially not for his 1st comeback fight. How is it obvious cause you say so lol ? He wanted to fight the guy that just bash Robbies head in stop trolling lol. Depends on how long it takes for the UFC to get serious and offer him a real contract. Phildiesel and JohnyBrabo like this. Robbie and Wonderboy would both KO him. Blayt7hh, JohnyBrabo and JollyRants like this. That would be interesting if true. Kennedy did say he has an opponent that would vault him into title contention. However, I am not sure beating GSP would be a title contending fight. Beating GSP gets anybody a title shot. saberd and JollyRants like this. Stupid people never feel stupid. That's one of the reasons they are stupid. JohnyBrabo, JollyRants and mjmj like this. BayArean and JohnyBrabo like this. Who knows? Nobody knows. We will know when we know. That's all I know. Woodley hasn't agreed to fight Thompson, and since the UFC is trying to force his hand by announcing it before he even starts negotiations, I've flipped on it and hope he doesn't.